Gutter systems are designed to collect rainwater and divert it away from your home. This prevents the ground near your home’s foundation from becoming saturated, which can potentially cause water damage, molding, or flooding to occur. When your gutter system fails, for any number of reasons, you run the risk of being saddled with costly repairs and a world of worry. So do yourself and your home a favor and call the team at 31-W Insulation. We can replace the gutter system on your Clarksville, Tennessee, home with heavy-duty, seamless gutters that will provide you with years of protection. Here at 31-W, we’ve been installing gutter systems for more than 40 years, so when you partner with us, you can be sure that that the job will be done right the first time by seasoned home improvement veterans. We never rely on subcontractors because we believe that our customers deserve a consistent level of quality workmanship. This unwavering commitment to going above and beyond for those we serve is the cornerstone of our company, and has earned us a longstanding A+ rating from the Better Business Bureau. 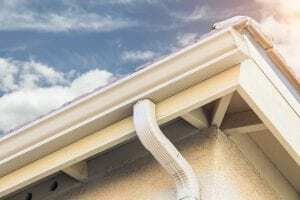 When you partner with us to have a new gutter system installed on your Clarksville home, we are confident that you will be satisfied, not only with our products and services, but also with our high level of customer care. We’ve already helped countless homeowners across the country protect their homes by replacing their gutter systems, and we would love the opportunity to serve you next. Contact 31-W Insulation today for more information, or to schedule a free in-home consultation.